Tooken Cade was born Dolores Ann Moran in Detroit, Michigan, in 1924. After her parents divorced, she lived with her mother and an aunt. She attended St. Mary’s Academy in Windsor, Ontario, and during her freshman year at the University of Detroit, the Empire of Japan attacked Pearl Harbor. Cade got a job in a federal bank writing checks for businesses and individuals contracting to build materials for the government. She only made $80.00 a month at the federal bank, so when a representative of the United Service Organizations (USO) started recruiting young women, she seized the opportunity. Her first job was in the sub-basement assisting at the photographer’s booth. Cade met her first husband, F. William “Rich” Richardson, when he came to have his picture taken. After a few dates the young sailor presented Cade with a bracelet inscribed with the word “Tooken.” He said, “If somebody asks you out, just put out your hand and say, ‘I’m tooken.’” The name stuck. 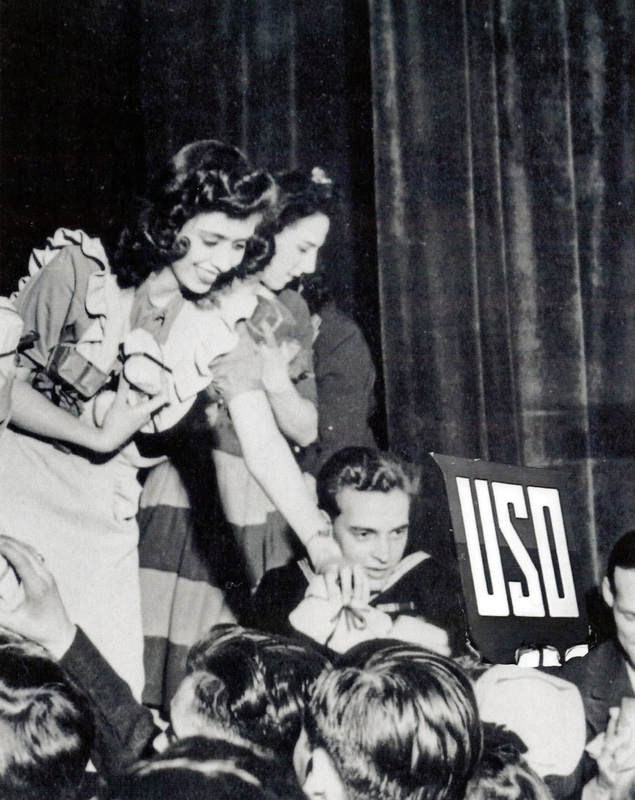 At the USO in Detroit, Cade made $35 a week but gave up the job when she married Rich in 1944. They lived near the naval base in Norfolk, Virginia, while Rich completed his training. In December 1945 Cade had the first of her four sons. In the 1960s she and Rich moved their family to Rome, Georgia, with his job in carpet sales. Rich died in 1983, and Cade later married Clarence Cade. She volunteered at the Floyd Medical Center for many years and joined the Rome, Georgia chapter of the American Rosie the Riveter Association in 2010. Watch Tooken Richardson Cade's Legacy Series videos here.